Rachel Maynard Director/Forest School Leader. Level 3 Forest School Leader with over 5 years experience running forest school programmes and many years experience in scouting. Trained to deliver the John Muirs Award. Currently completing qualifications in out door behaviour management and a certificate in Therapeutic Forest Schools. Julia is level 3 Forest School Leader with 5 years experience and over 10 years as a qualified teacher working for Chichester College. Julia worked for many years in the outdoor adventure industry. Trained to deliver John Muirs Award and completing training in out door behaviour management. 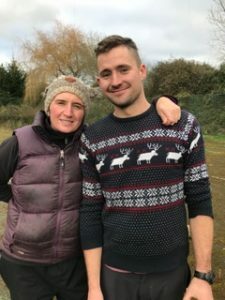 Emma is an experienced Level 3 Forest School Leader with a foundation degree in Play therapy and has many years experience working with young people and play work. Ed is a level 3 Forest School Leader who has a wealth of experience as an Outdoor Activities Instructor. Outdoor and paediatric First Aid trained. 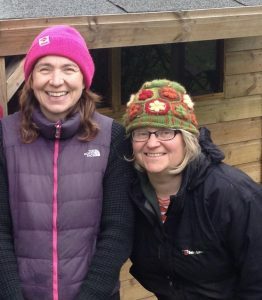 All staff lead forest school programmes, have enhanced DBS checks, Food Hygiene Level 2 and Outdoor First Aid training.